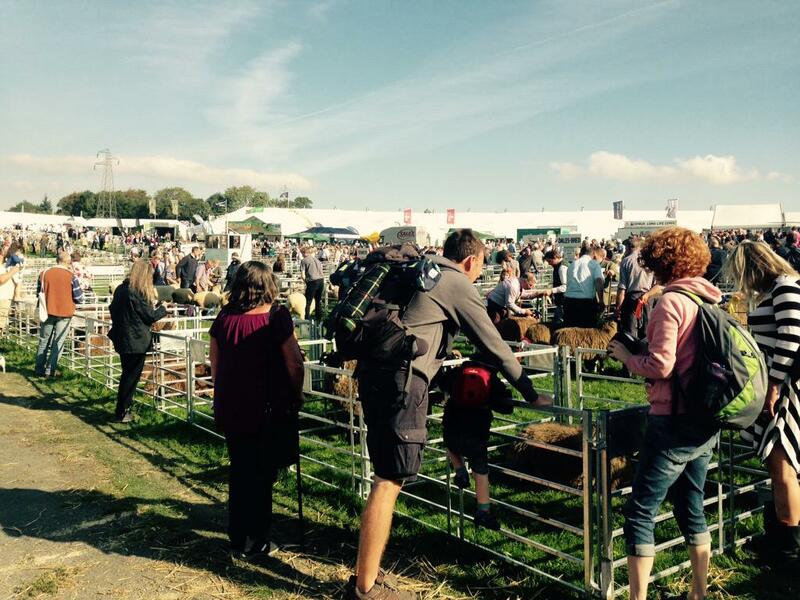 This year's Westmorland County Show had a record turnout, the organisers have confirmed. Thousands enjoyed a sunshine filled day at the show. But many of the farmers there have serious concerns over milk and lamb prices. There are already more than 30,000 people at this year's Westmorland County Show, which means they're getting close to last year's record of 35,000. Cumbria's biggest agricultural show is well underway. Marquees and show rings have been popping up in fields near Kendal, as Cumbria's biggest agricultural show gets underway. Organisers are expecting around 30,000 people to turn up to this year's Westmorland County Show, at Crooklands. They're asking people to help ease traffic by following the signs. From the North down the M6 exit at J36, if you're coming up the M6 please exit at J35, coming from Kendal please come through past the hospital and come through Endmoor. Coming from the Furness peninsula please come through Levens Bridge, turn right and come through Milnthorpe." Despite the wet weather the region has entailed recently, Westmorland County Show is going ahead. Founded in 1799 and now in it's 213th year, the show is one of the largest and oldest one-day shows in the country. The main attraction is the livestock competitions, with sections including cattle, sheep, goats, horses, pigs and poultry. There's also marquees for The Women's Institute, Learning for Life, Crafts from Cumbria, as well as a local produce food hall and over 350 trade stands. South Lakes MP Tim Farron is launching a "Fair Deal for Dairy Farmers" campaign at this years show. He'll be asking residents to support his campaign with the NFU to secure the long term future of the dairy industry. The show is based at Lane Farm, Crooklands near Kendal and gates open at 8am.